Yarmouth senior and Falmouth freshman control cross country race in Belfast. BELFAST — As he grinded toward the Festival of Champions finish line, Luke Laverdiere heard the public address announcer mention what many fans surrounding the Troy Howard Middle School course were thinking. 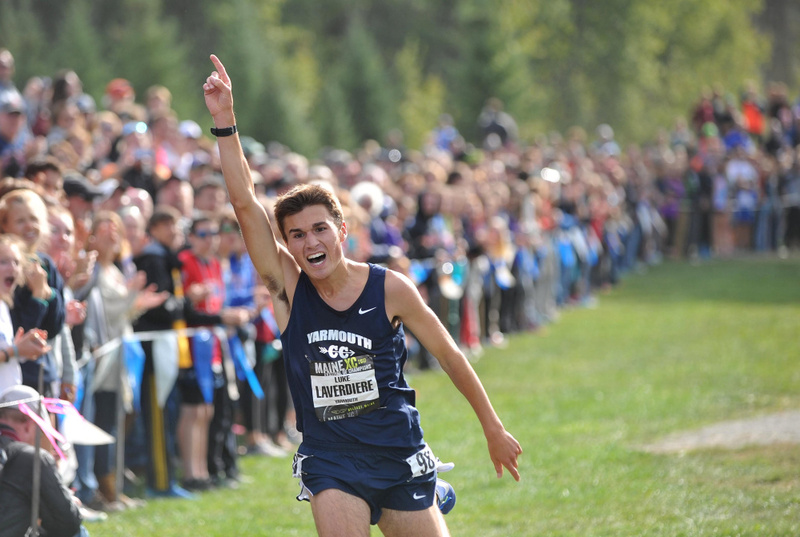 Could Laverdiere, a Yarmouth High School senior and the Festival of Champions defending champ, break the course record? Laverdiere came close, finsihing in 15:10.86 to dominate the boys race and repeat as champion, but the record did not fall. Laverdiere was a shade 4 four seconds off the record pace, 15:06.92, set by Telstar’s Josef Holt-Andrews in 2013. “I was feeling it the last mile. I just tried to push as hard as I could,” Laverdiere, who also won the Class B state title on this course last season, said. The girls race was dominated by a newcomer to the event, Falmouth freshman Sofie Matson, who won with a time of 18:17.33. It was Matson’s first time on the Troy Howard Middle School course. “It was really fun. I loved the course. I was really excited to run it for the first time,” Matson said. 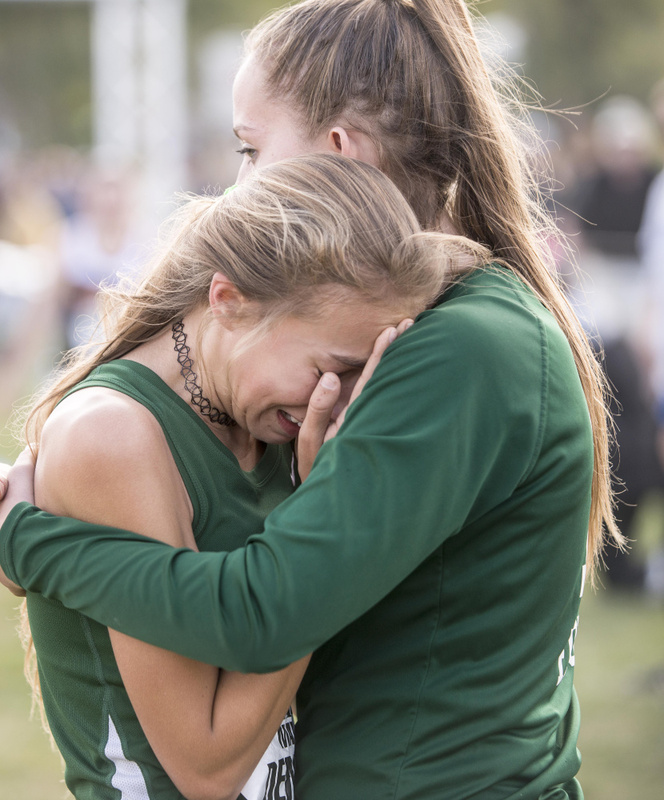 Saturday was the 16th Festival of Champions, and the event featured the largest field of runners yet, with 1,100 boys and 900 girls. 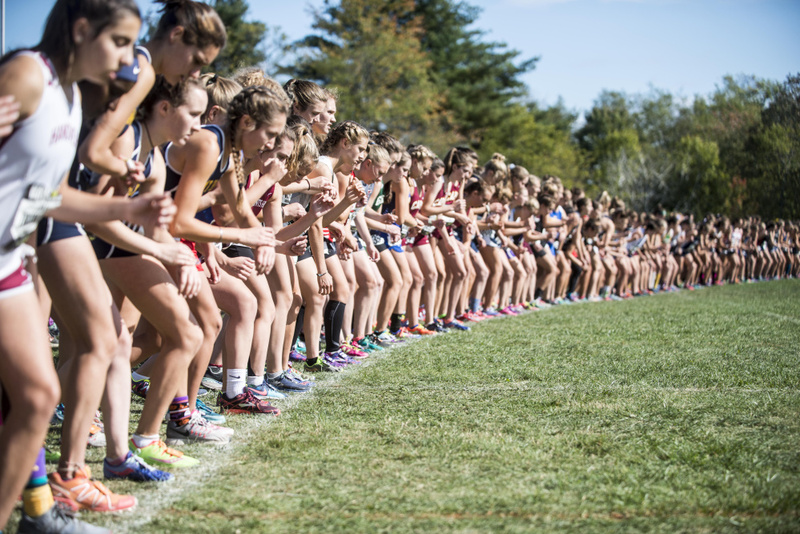 Each of the six New England states had a school competing, along with cross country teams from Canadian provinces Nova Scotia and Prince Edward Island. The day featured unseeded and freshmen races before the main girls and boys events, when Matson and Laverdiere displayed their dominance. Laverdiere was pushed early. Around a quarter mile into the race, David Vorbach of Nashua (N.H.) North was right with Laverdiere, but the defending champ pulled away shortly thereafter. When Laverdiere came back into view toward the end of the race, he was alone, and the only question was if he’d have enough of a kick to break the record. In the girls race, Matson took the lead early and was never really challenged. Her strategy was simply have fun. Matson separated about a quarter mile into the race. She said she knew was alone in the lead after a mile, but that didn’t stop her from looking over her shoulder. The fast start was planned, she said, as she tried to gauge the large field of runners. “I knew I wanted to be at least near the front of the pack, so I just went for it,” Matson said. Yarmouth senior Sophia Laukli was second, finishing in 18:36.46, 19 seconds behind Matson. Winslow freshman Olivia Tiner placed 22nd, in 19:21.28. Kathryn Cullenberg of Mt. Blue was 44th (19:59.83). Molly McGrail of Maranacook just missed a top 50 finish, placing 54th in 20:12.72.